Everyone on board a passenger plane, which crash-landed in the sea off a tiny Pacific island, has survived. Some 36 passengers and 11 crew were on the Boeing 737 when it missed a runway as it tried to land at Chuuk Island in Micronesia. 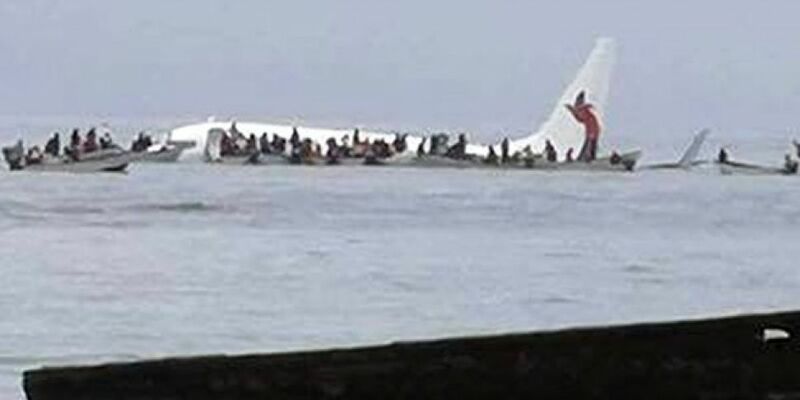 Footage shows people being rescued in boats from the half-submerged Air Niugini plane. In a statement, the carrier said: "Air Niugini has been informed that the weather was very poor with heavy rain and reduced visibility at the time of incident." The airline said it is in touch with the embassies, passenger representatives, stakeholders and families of the crew. Air Niugini is the national airline of Papua New Guinea.